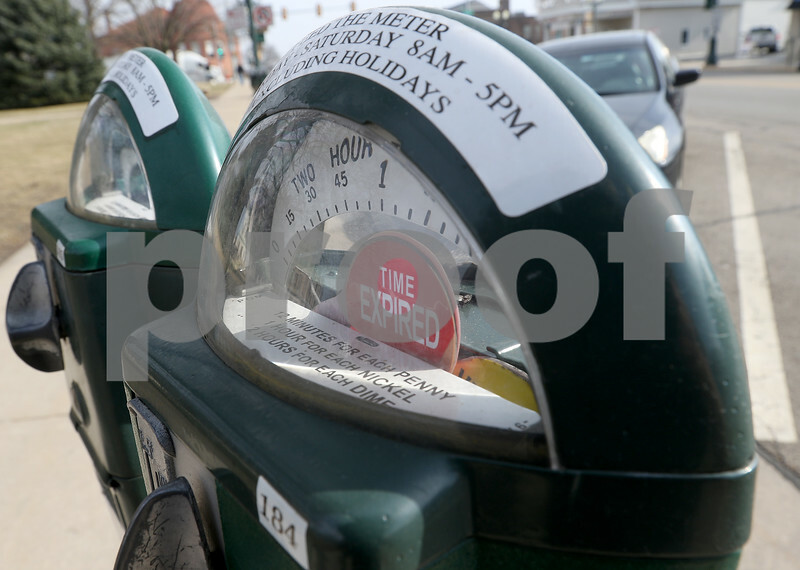 The red "time expired" notice shows on a parking meter outside of the DeKalb County Courthouse on Monday, February 6, 2017 in Sycamore. City council will vote on hiring a collection services agency to enforce payment of parking meter fines. Currently, the meters accept payments of a penny for 12 minutes of parking, a nickel for an hour, and a dime for two hours.